Millennials in Vietnam's startup community tend to have their own way of doing things. Two Vietnam-based logistics startups, Logivan and EcoTruck, had successfully raised $1.75 million and $1.7 million by end-August and mid-September, respectively, from a number of foreign investors. Founded in 2017 by Ms. Linh Pham, a former Goldman Sachs technology analyst and Cambridge University graduate, Logivan offers a marketplace that directly connects freight with truckers. The B2B logistics service providers EcoTruck, meanwhile, was also established a year ago by Mr. Le Hoang Anh, who earned a PhD and Master of Science (MS) in computer science from New York University. Prior to this bridge round it had already raised $300,000. Vietnam’s startup community has attracted huge amounts of investment from both local and foreign private equity (PE) funds in recent years, with a total of 92 raising $291 million in 2017, according to data from the Topica Founder Institute (TFI). “Startups is a very trendy term in Vietnam these days and is used widely as a replacement for entrepreneurs or businesspeople, given Vietnam is an entrepreneurial country with 98 per cent of businesses being medium, small or micro,” said Ms. Ninh Do, Country Marketing Manager (Vietnam) at Google Asia Pacific. The passion among many Vietnamese millennials for business and novel, feasible ideas that attract interest from foreign investors are contributing to turning Vietnam into an incubator for startups with major potential. 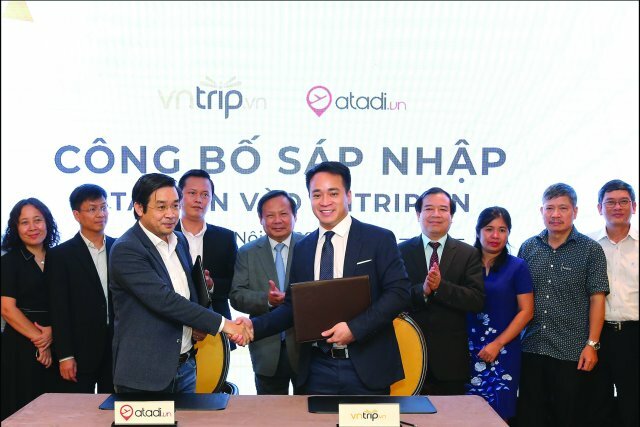 Another successful case in calling for investment, Vntrip.vn, a Vietnamese online travel booking service provider founded in 2014, now has more than 11,000 hotels nationwide on its books that are updated with the best price. It completed fund raising of an undisclosed sum in August from Swiss investor IHAG Holding, which put its valuation at $45 million. It previously completed a Series A funding round of $3 million from the FengHe Group and Hancock Revocable Trust and also announced in 2017 it had raised up to $10 million in capital from Hendale Capital. Vietnamese organic soya chain Soya Garden, meanwhile, successfully raised $880,000 in June from Egroup, an education-focused corporation, on the first season of the startup show “Vietnam Shark Tank”. It then signed a memorandum of understanding (MoU) for a strategic partnership with Singapore’s Mr. Bean Group, which has 65 retail outlets in Singapore, Japan and the Philippines. Soya Garden now has 15 outlets in major cities and this is anticipated to expand by 40 this year. “Young Vietnamese customers seem attracted by coffee and milk tea chains but an organic soya chain promises to be a breath of fresh air in the food and beverage (F&B) industry,” said 29-year-old Mr. Hoang Anh Tuan, Founder and CEO of Soya Garden. While not having a private startup, Ms. Le Canh Bich Hanh, CEO of Vascara, a popular Vietnamese shoe, bag and accessories brand for local women, was honored as a prominent young entrepreneur last year. As CEO for six years at Vascara, she was behind its impressive business performance in 2017, when revenue grew 60 per cent against 2016 and outlet numbers rose from 40 to 100. Online sales soared five-fold year-on-year in the fourth quarter of 2017 and it opened an additional 15 stores in the first half of this year, Ms. Hanh revealed. In a report on a survey on Vietnam’s Generation Y released in late 2017, the Navigos Group noted that many young workers in the country don’t feel any special attachment to their organization. 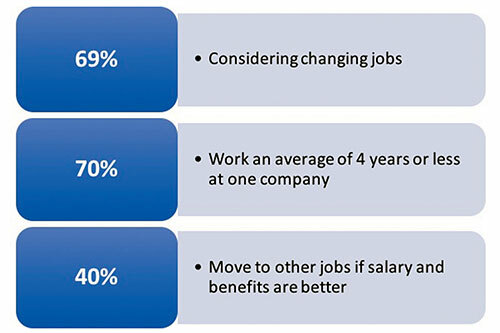 This leads to multiple regular job changes, while employers are finding it more difficult and more expensive to recruit and train new employees and see a low level of engagement with their organization among Generation Y. Among respondents seeking to start a business, 66 per cent said the biggest reason was a desire to become successful and wealthy. The success rate for Vietnamese startups is still quite low, at 3-5 per cent, according to the Vietnam Chamber of Commerce and Industry (VCCI), and most last about a year. Dezan Shira and Associates Vietnam identified the major challenges facing Vietnam’s startup community as being a lack of talented personnel and funding, continued small scale, and slow regulatory reform.